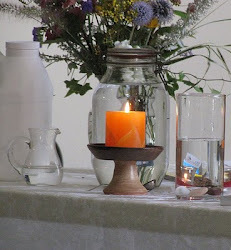 The third source articulated for the living tradition of Unitarian Universalism is "Wisdom from the world's religions which inspires us in our ethical and spiritual life." One of the most important nuggets of wisdom found in all the world's religions is some form of the golden rule - "Do unto others as you would have them do unto you." 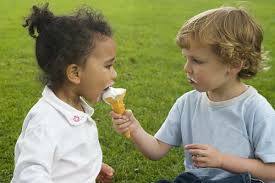 The golden rule might be even further simplified to one word, "share." R.D. Laing, the British Psychiatrist, wrote in his book, Politics of Experience, that I can experience my own experience, but I can never experience your experience. The closest I can come to you is to experience my observing you experiencing your own experience. Read that again. Stay with it. It's profound. According to A Course In Miracles, we humans have decided to separate from the Oneness and form our own bodies. In doing so we made a sacrifice. Recent psychological studies report that the biggest psychological problem in the United States is loneliness. As I was reading about this finding, it made me laugh. Really? Loneliness? What made me laugh is the naming of this as a psychological problem which, undoubtedly it is, for which one of us has not experienced loneliness even in a crowded room, even in our committed long term relationships? What made me laugh is the lack of recognition that this, at its fundamental base, is a spiritual problem. The psychological aspect is only symptomatic at the surface, but fails to get to the bottom of things. And so the problem of loneliness is a problem of the path of the ego. Rather than take the path of the spirit we have chosen the path of the ego which has taken us down the dark dead-end road to loneliness. The good news is that things don't have to be this way. 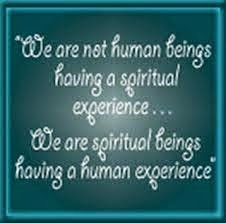 We can change course and embark on the path of the spirit and leave the path of the ego. What does this change of course look like? It looks like forgiveness and love instead of blame and greed. It is about sharing instead of clinging and protecting. Loneliness had taken over my life to the point of a disabling depression. I finally made many changes and one of the things that helped me the most was doing some volunteer work at our local hospital helping transport patients and in reception welcoming people and providing directions. These are small things I know but I felt I was helping and it made me feel so much better. One of the things that drew me to my Unitarian church was there desire to share with each other and the community. Our church is doing something for somebody all the time. There is no end to the opportunities. It is one of the most giving groups I have ever been a part of. It makes me proud to be a part of such a caring and generous community.